The Word “invitation” is the witness of the pleasant world and computer invitation is the new wonder of the IT revolution. Literacy is the calculated on the basic of computer knowledge. IT revolution in the world is the path of the Organization. Countries all over the worlds depend on the India’s manpower. In such a scenario, the fruits of the revolution have reached only a few one’s in India GIIT COMPUTERS has downed a new era to extinguish or break this gap. GIIT COMPUTERS:- Is new entering into a new world which will design the upcoming future life is the IT field. We have a vision not only educating students but also educating how to live with honor is this temporary world. We thing this only essential for every growing human resource. For this, we have over mission. •	To develop quality product to the nation. •	To bring IT Education closer to the common people. 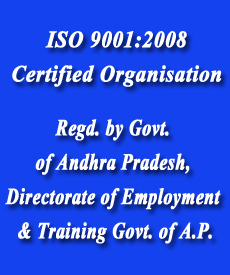 •	TO spread computer education through out Andhra Pradesh including remote areas. •	To make over services in all fields to empower people in education, health and employment fields. •	To offer best quality education. •	To dedicated over efforts for social welfare and to serve people. •	To give 100% placement assistance for each and every student. GIIT Computers: It is very surprising to note that both unemployment & job Opportunities are very high the reason being that is high unemployment rate due for skilled manpower and where their huge demand for job’s for skilled workers. at GIIT COMPUTERS Impartment training in technical qualification, communication skills, personality development.